This article is free of any major spoilers. However, personal preference may vary, and if you intend to fully experience “Her Story” blind then I recommend returning after your completion. The price of this is slightly more than a mixed drink, less than a movie ticket, and a far more rewarding experience than either. I strongly recommend it. Reflected in the glass surface of CRT monitor is a young woman, illuminated by a flickering florescent tube or the occasional police siren passing by this ancient storage of closed cases and catalogued police interviews. On this outdated database contains the fragmented remains of several interviews conducted over the course of 15 days relating the case of a British woman’s missing husband. No transcript remains of these interviews, and the query system limits all results to the first 5 clips logged in chronological order. This is Her Story. Full Motion Video, as an interactive form, comes with a unique set of challenges. While capturing video is easier then creating fully rendered, animated, and scripted 3D content, its real flaws come from the jarring juxtaposition of gameplay mechanics and visible content (see: Myst, Phantasmagoria, Mad Dog McCree… practically any adventure or arcade rail-shooter from the late 90s).The FMV used in Her Story works as it’s not the supplement, but the primary form of communication granted in the game. 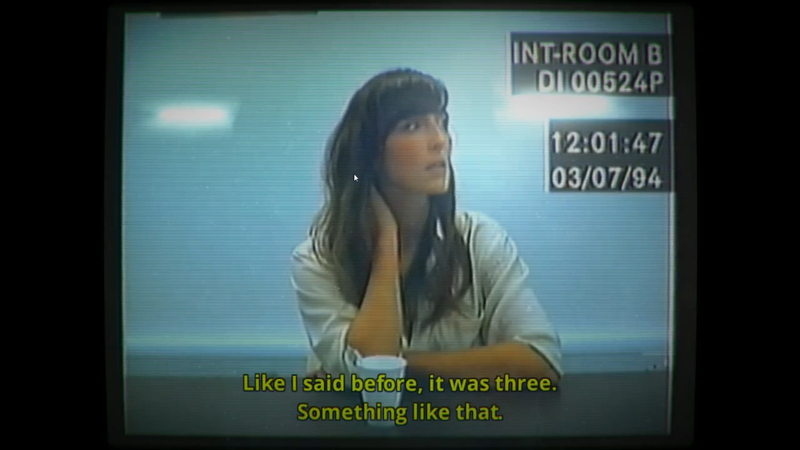 The minimalist approach to the player’s verbs and the attention to every detail told through the recorded tapes and the interface of the dusty PC monitor keeps the fiction together, and tells a tremendous story that’s revealed at the pace of the player. This minimalist approach is important. At first launch, you’re provided with a 4:3 desktop display with a database query window, several readme.txt files, and a DB Checker, which tracks and marks each clip cut from the interview as you watch it and provides some context of the entire linear set. This gives some idea of where you are in the timeline of this story, and where the holes and missing data remain. Initially written in the Query is the word “MURDER,” with four entries listed in the results. These four entries span this timeline of the interviews, and give some insight to the flow of the case as time progressed. The police detective’ questions are never heard, however the interviewee’s responses hint at what she’s been asked. These four clips give the first clues as to how to uncover the rest of the story. Names, dates, phrases, etc. Every clip is catalogued based off of a word-by-word transcript of everything the interview subject states. Without the interviewer being logged, each word the player queries serves as a question asked. 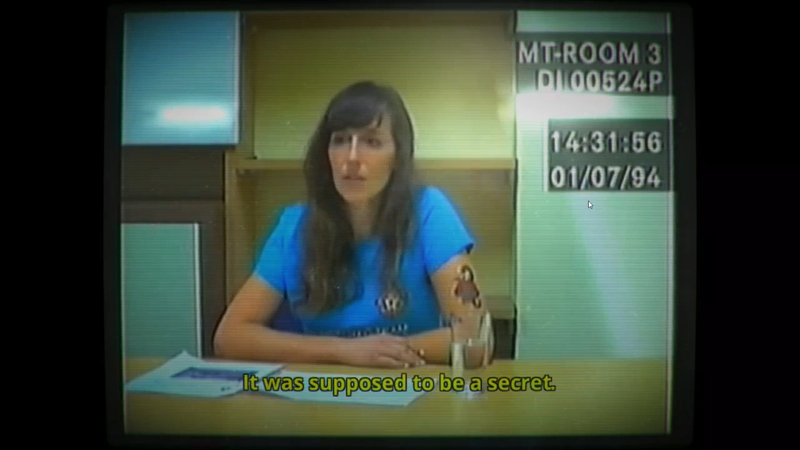 This is where Her Story shines, in the depth and flow of its word-by-word investigative puzzle solving. In the case of the initial word “Murder,” one of the first clips is her own denial of this. “You’ve got it wrong…” she replies. The rest of the database is hidden, and any generic answer needs some form of qualifier to dive deeper into the interview sessions. It’s a tease, and directly gates the play from immediately discovering the entire story in one word. They’ll have to try another approach. There’s intentional detail paid to each segment of dialogue. Some condemning word could bring up six results, one short of the result cap, with the fifth giving only half of a crucial detail needed to fully understand what happened. Of course, it’s simple to enter in random words and hope for a match, but even then there’s only so much that can be stumbled upon. The clearest picture comes from those who watch, record, and pay close attention. This attention to detail isn’t only reflected in the mechanics. In about 2 hours’ worth of footage, there are plenty of tangents, red herrings, and the response to police investigative tactics that further uncover the truth to the case. There’s a great deal of inspiration from modern-day crime dramas, such as True Deceive or Serial, however the storytelling closely resembles the story structure of David Lynch or Silent Hill. Everything presented matters, even those that could initially seem deceiving, and much of it only begins to make sense after understanding the whole picture. Soon after half the database is uncovered, you’re asked if you’re satisfied with what you’ve found. By this point, you could have a basic understanding of the story. But there are enough loose ends and enough hints at the larger scale of what’s communicated; leaving here would never complete the full picture. 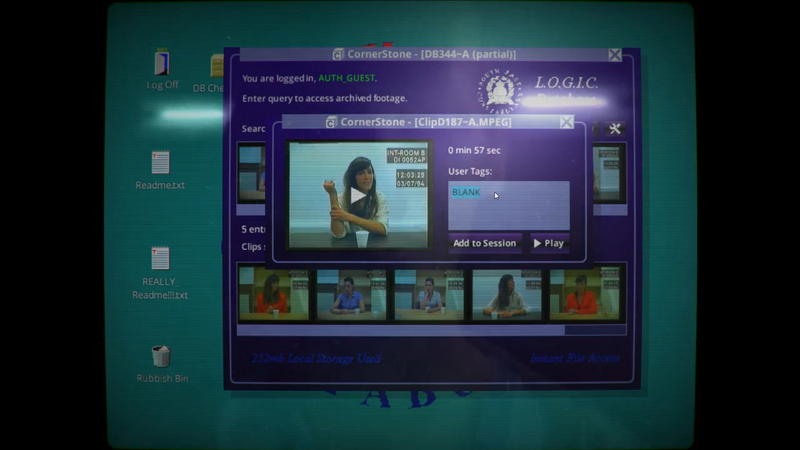 The non-linear reveal feeds back into the player’s method of deduction. 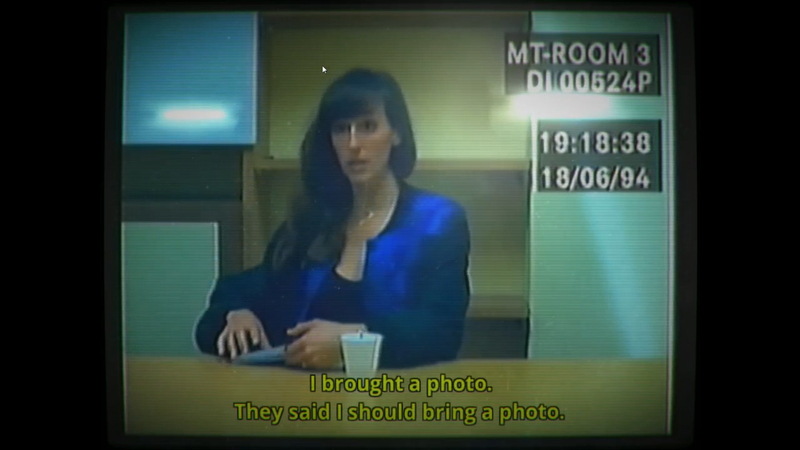 By only allowing bits a pieces of the narrative to reveal themselves, the motivation is set on the player’s own deductive reasoning and desire to piece together the fragmented clips of video. On quitting out the query database, the reflection of the woman is seen yet again in the glass of the monitor. It serves either as a curious entity, calling the player back to complete their role and uncover the case, or as a final goodbye, returning the old mothballed computer back to its dark corner in a dusty storage. Whenever you choose to leave, it’s by your own volition. This case is already closed, and it’s ramifications have already set. There’s no room to change this past, only to understand, and learn from it.